This LNB is a high performance product addressing the need for superior reception under the edges of the satellite footprint. Thanks to its novel front end design and superior components, this LNB provides higher conversion gain yet with lowest noise figure and best phase noise performance. The combination of higher spec components, excellent cross polarization isolation and advanced filter design enables improved handling of interfering spurious. All in all, this LNB provides a leap in the overall reception performance compared with standard LNBs. 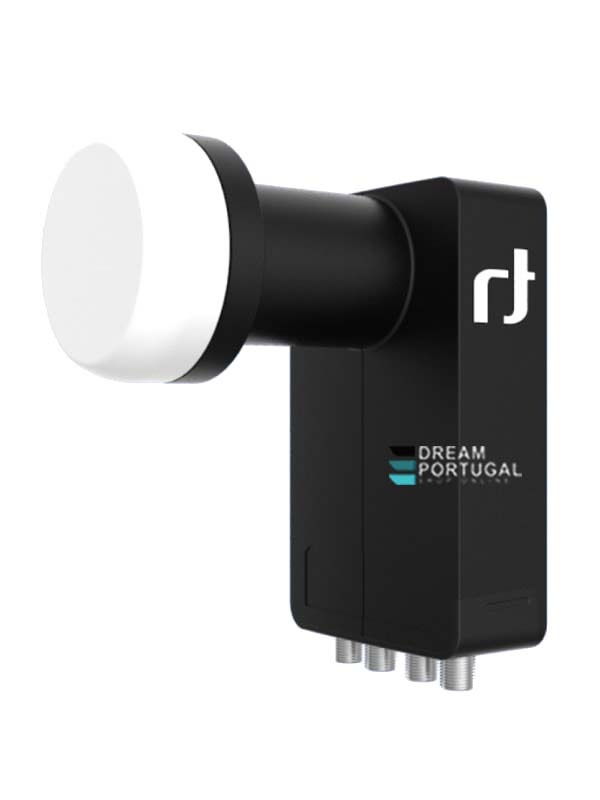 The LNB enables the reception of signals from one satellite and its distribution to maximum four Set Top Boxes with Single Tuner (or two STBs with Twin Tuner) and is ready for High Definition transmissions. Designed to meet strict specifications and manufactured to the highest industry quality standards, this LNB is an ideal solution for satellite broadcast reception across Europe.